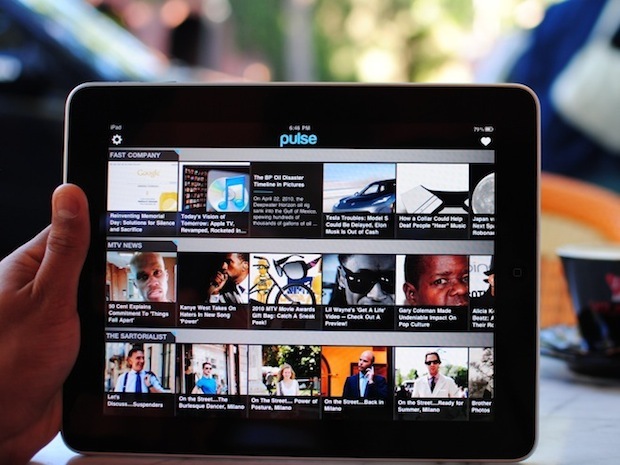 Pulse is a gorgeous-looking iPad app that aggregates news. It’s essentially an RSS reader, like Google Reader or NetNewsWire, but with a nicer interface. It comes prepackaged with a mess of feeds, including the New York Times (and Fast Company). The app has been successful; it’s reached sales of 35,000 and was even mentioned by name at Steve Jobs’s WWDC 2010 keynote this past Monday. It’s achieved wide acclaim from sources like, well, the New York Times. Yet now the Times Company has complained about the app to Apple, which in turn was forced to pull it. Let’s count the ways NYT is misinformed here. First, the app uses the publicly available RSS feed, like every other RSS reader. It shows the text that’s viewable in the feed, and if you want to read further (some longer articles, for example), you’re taken to the Web site in the iPad’s browser. So either the NYT is getting tons of new subscribers, or tons of new readers (and thus traffic for its site), or both.